Pinewood Derbies, Blue, and Gold Banquets and Summer Day Camp. Such thoughts cause mixed feelings among those of us who have been a part of the ​Cub Scouting program. In the midst of planning or running an event, we may feel a little overwhelmed and even negative. Reflecting on the overall experience years later, there is certainly a sense of nostalgia as well as satisfaction. 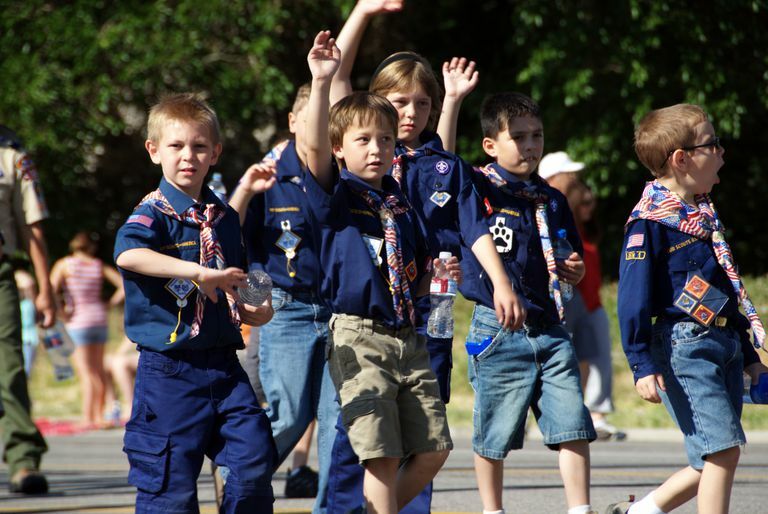 Many dads get introduced to Scouting in general — and Cub Scouting in particular — when they have a boy between 7 and 11 years old. Dads can often be invited to serve as a volunteer den leader or Cubmaster while their kids are in the program. When a dad offers to be involved as a Scouter, he will need some help and resources to perform well and succeed in this commitment to his son and to the other scouts in the Cub Scout den or pack. Cubmasters have five major roles in the Cub Scouting program. Planner. The Cubmaster is responsible for the monthly Cub pack meeting, as well as other events during the year, so the job takes a lot of planning. That planning involves finding out what boys that age want and enjoy, learning what resources are available and how to make the events run smoothly. Recruiter. A Cubmaster must be able to recruit others to the pack. This includes boys of the appropriate age, parents, and other adult leaders. He must help them feel needed and wanted, and enthused about the opportunity to build young men. Supervisor. The Cubmaster has to keep the den leaders and committee members focused and engaged. He is the heart and soul of the Cub pack and the pack and its leaders tend to reflect the enthusiasm and commitment of the Cubmaster. Motivator. Because the pack tends to take on the personality of the Cubmaster, a successful Cubmaster has a duty to keep things moving forward and to keep the leaders and boys motivated in the Cub Scouting program. So, he has to be a good example, be enthusiastic about scouting, and be able to recognize and say thanks to those who help. Performer. This is not to suggest that a Cubmaster cannot be successful if he is not a good actor, singer or comedian. But there is certainly an element of performance at pack meetings and other events. And it helps to be self-confident and a little uninhibited. The most successful Cubmasters are good sports. Register. Get your adult leader registration form and fill it out completely, get the required signatures and get it turned in. As a registered leader, you will receive lots of help from district commissioners, Scouting Magazine, and other publications. You will be put on an email list from your local Council to keep up to date on events and activities. Get Trained. Training as a Cubmaster begins with what the BSA calls Fast Start Training. This training can be obtained online from BSA or you can complete it at your local Roundtable events. After Fast Start, you will want to attend New Leader Training and Leader Specific Training. These are usually scheduled on a district or council basis and will take you about a day and a half for both. Get a Uniform. Getting the Scout leaders uniform is critical. Yes, it is expensive. Plan on spending about $125 US for new uniform pants, shirt, belt and neckerchief from the BSA. They can be ordered online or purchased at your local Council's Scout Stuff store. You can check local thrift stores for good quality used uniforms. Having a uniform and wearing it is an essential element of being a Scouter. If you can't afford it all at once, get the uniform shirt and neckerchief and patches right away, and save up for a couple of months for the uniform pants and the rest of it. The uniform identifies you as a Scouter and helps build a sense of unity and teamwork with other leaders and with the boys. Attend Roundtable. The ongoing training for Scout leaders is called "Roundtable." It is usually held monthly in your local community. For Cubmasters, it is an incredible resource. Each month, the Roundtable commissioners have a mock pack meeting and they will teach you games, crafts, ceremonies, songs and more to make your meeting great. It is a big time commitment, but it is worth every minute you spend there. Attend Advanced Training. In addition to Roundtable, you should also plan to attend the annual Pow Wow meeting (a Saturday each fall) for tons of information and help on activities for the coming year. You should consider at some point registering for WoodBadge training for adult scout leaders. WoodBadge takes a week at a camp or is often offered over two or three weekends for those who can't commit a whole week at a time away from work or home. Delegate. Being a Cubmaster can seem like a full-time job. If you have a good pack committee and den leaders, they can help share the load. For example, assign refreshments to a different den each month. Have den leaders plan and carry out a flag ceremony at your pack meeting. For the annual Blue and Gold Banquet celebrating the anniversary of the Scouting movement, get parents and committee members to handle the dinner, setup, and cleanup. Getting others involved will give them a reason to attend a pack meeting with their boys as well. Make It Fun. Keeping pack meeting engaging requires songs, skits, ceremonies, unique applauses, jokes of the month and more. Boys ages 7 through 10 love all things that we adult men may think are silly or corny. If you make it fun and entertaining, they will look forward all month to pack meeting. Being a Cubmaster can be a very rewarding experience and an opportunity to build incredible memories with your sons and their friends. Taking the time and investing the energy by serving as a Cub Scout leader will pay huge dividends now and in your sons' future.